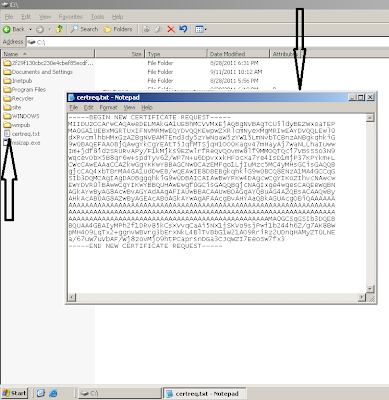 Due to the length of this tutorial it is broken into four parts. 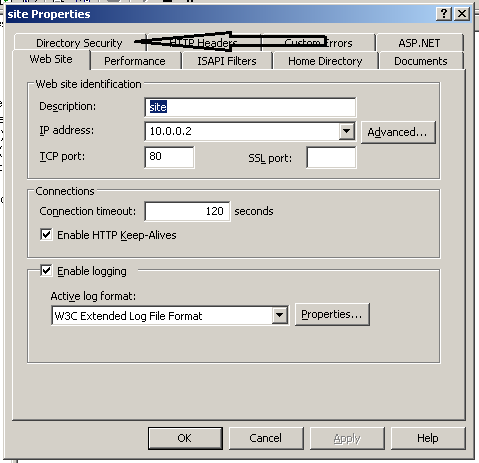 Right click on your website Go to properties. 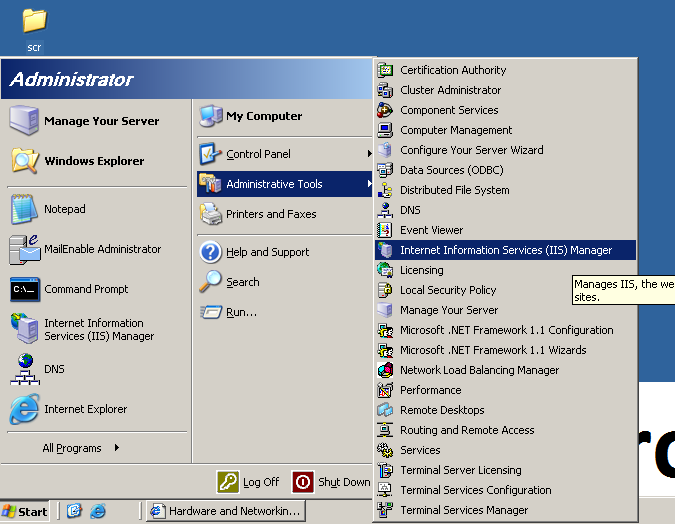 Go to - Directory Security tab. 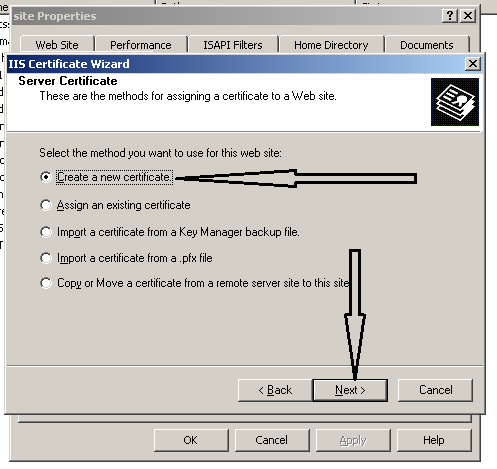 Click on Server Certificate button. 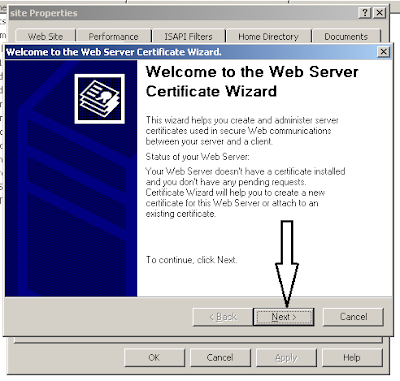 On Web Server Certificate Wizard click next. 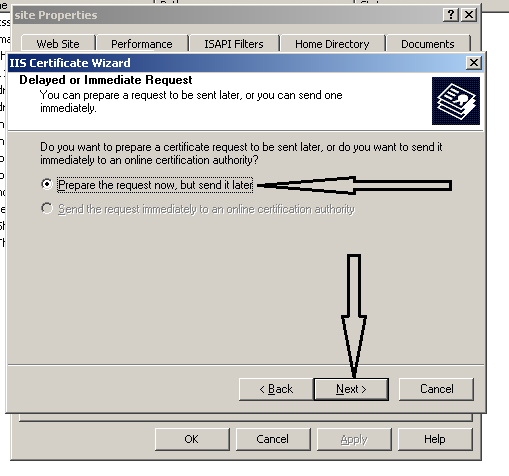 Select the first radio button, Create a new certificate, then click next. Select the radio button Prepare the request now, but send later option, then click next. Give your certificate a name you wish. It is best if you give it the same name as your web site. 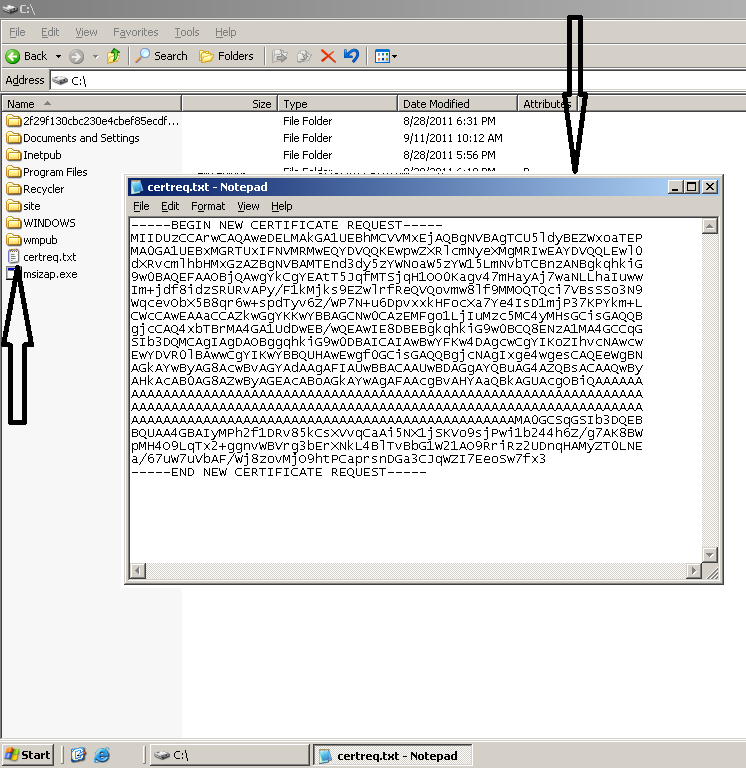 Set the Bit Length to 2048 and do not check the bottom checkboxes, then click next. In the organization field to the name of your company. In the organization unit type the department the certificate will belong to or your company name and unit. Click next. 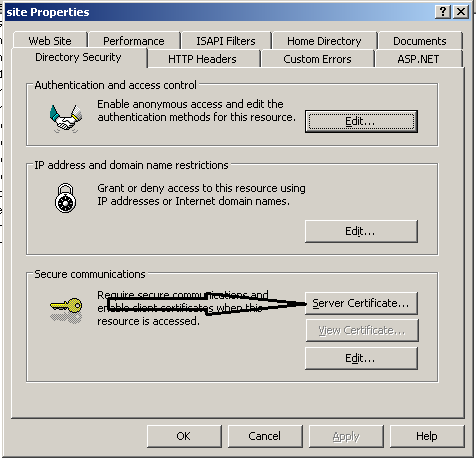 Common name is the address of website that certificate will cover. It can be www.yourwebsite.com. 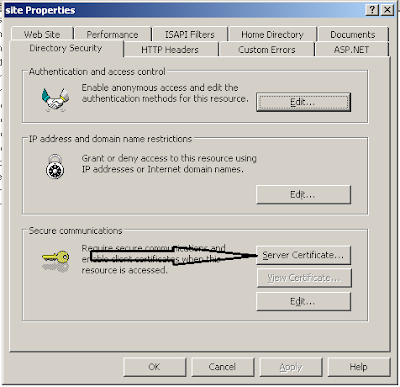 You require to buy a DNS name (domain name) if you plan on accessing your secure site over the Internet. If you dont have a domain name you can buy Domain Sale! $7.49 .com at GoDaddy it is Worlds's largest domain name registrar. 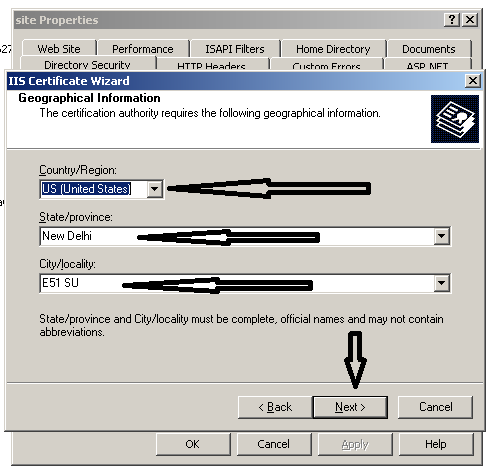 Enter your Country, State, and City then click next. 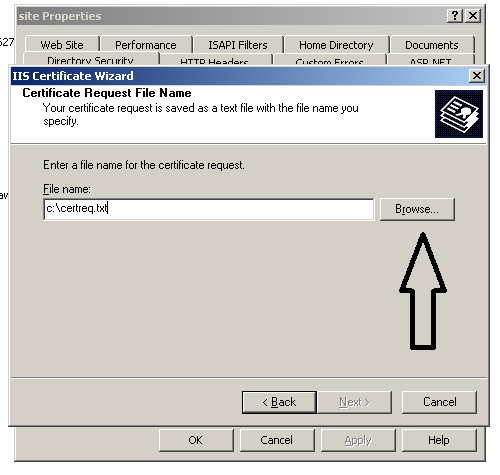 Enter name of the file for your certificate request. 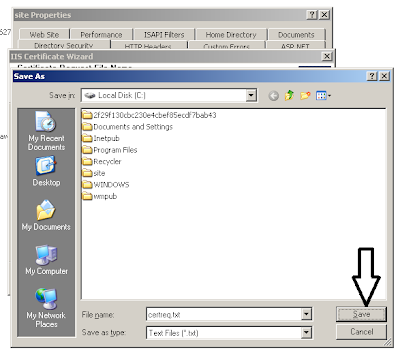 Save it anywhere where it is safe. Click next. 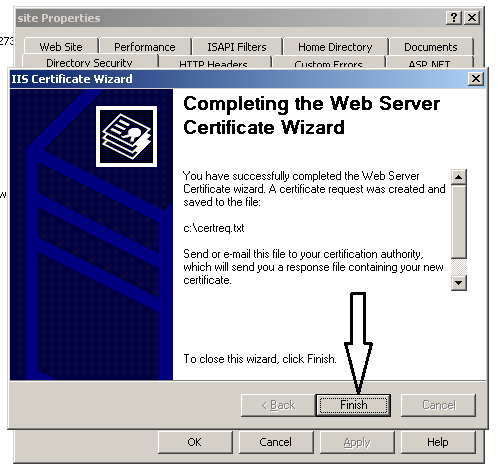 IIS Certificate Wizard displays all the informational you have entered. If you find mistake in the entry click the back and correct the error. After you are done click next. 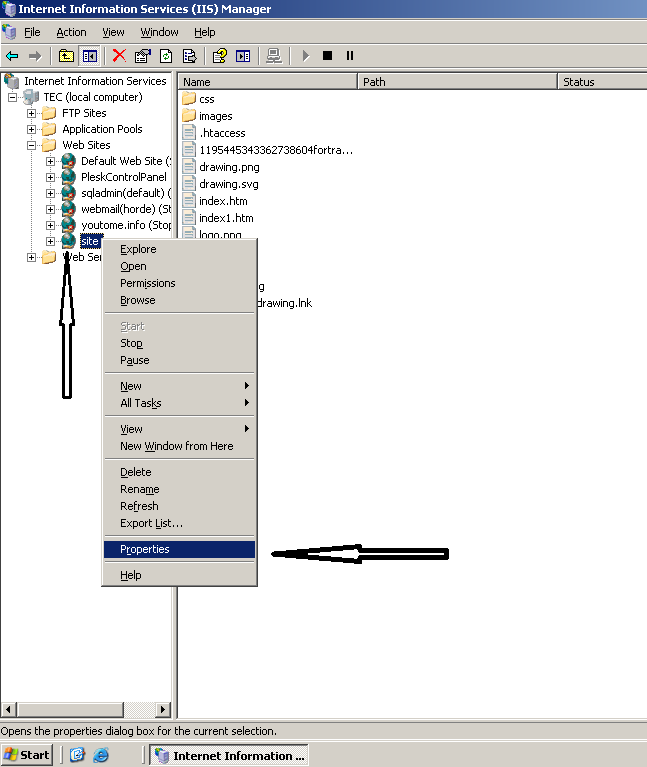 Well you have created a Certificate Signing Request (CSR) Click finish.